Our puppy health guarantee covers all hereditary and congenital disorders which adversely affect the health of the puppy (and that were not disclosed at the time of purchase) for 1 year following the original purchase date. If, within 1 year of the original purchase date, a licensed veterinarian certifies that the puppy was unfit for purchase due to a congenital or hereditary disorder which adversely affects the health of the puppy, the client will be afforded the right to return the puppy for a full refund, exchange the puppy for another puppy of equivalent value, or keep the puppy and receive reimbursement for reasonable veterinary expenses (for necessary treatments and/or services related to the attempt to cure or curing of the puppy) not to exceed the purchase price of the puppy. 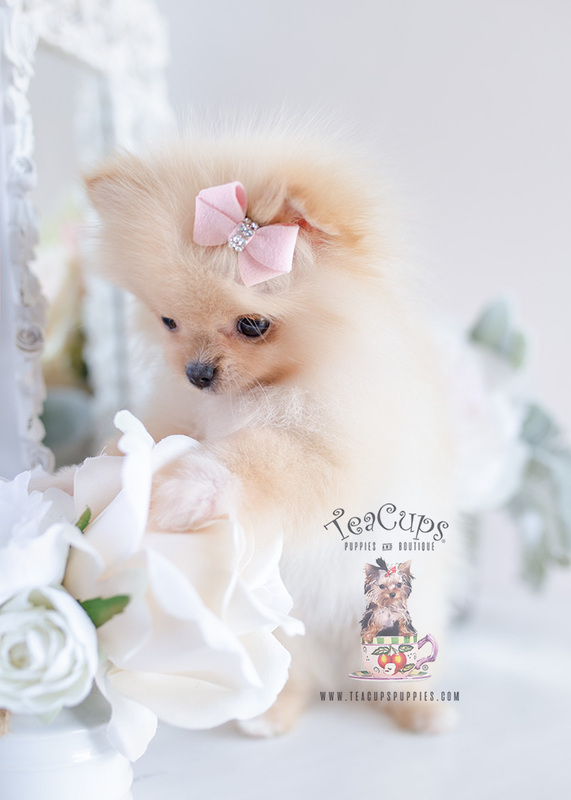 The client has 2 business days to notify TeaCups, Puppies & Boutique ® that the puppy was found to be unfit for purchase and to present written certification by a licensed veterinarian. For further details about our 1-year congenital and hereditary disorder guarantee, please call the boutique at 1-954-985-8848. Our puppy health guarantee covers any contagious illness or infectious disease (such as distemper, canine parvovirus, etc.) that results in clinical illness for 14 days following the original purchase date. If, within 14 days of the original purchase date, a licensed veterinarian certifies that, at the time of sale, the puppy was unfit for purchase due to illness or disease, the presence of symptoms of a contagious or infectious disease, or the presence of internal or external parasites (excluding fleas and ticks) resulting in clinical illness, the client will be afforded the right to return the puppy for a full refund, exchange the puppy for another puppy of equivalent value, or keep the puppy and receive reimbursement for reasonable veterinary expenses (for necessary treatments and/or services related to the attempt to cure or curing of the puppy) not to exceed the purchase price of the puppy. The client has 2 business days to notify TeaCups, Puppies & Boutique ® that the puppy was found to be unfit for purchase and to present written certification by a licensed veterinarian. A puppy may not be determined unfit for sale on account of an injury sustained or illness contracted after the client takes possession of the puppy. A veterinary finding of intestinal or external parasites is not grounds for declaring a puppy unfit for sale unless the puppy is clinically ill because of that condition. For further details about our 1-year congenital and hereditary disorder guarantee, please call the boutique at 1-954-985-8848.